Nigel Farage, one of the UK's leading proponents of a 'hard Brexit' told Euronews yesterday that the negative impacts of Britain leaving the EU without a deal could be eliminated by the use of "Article 24 of the World Trade Organisation (WTO)". 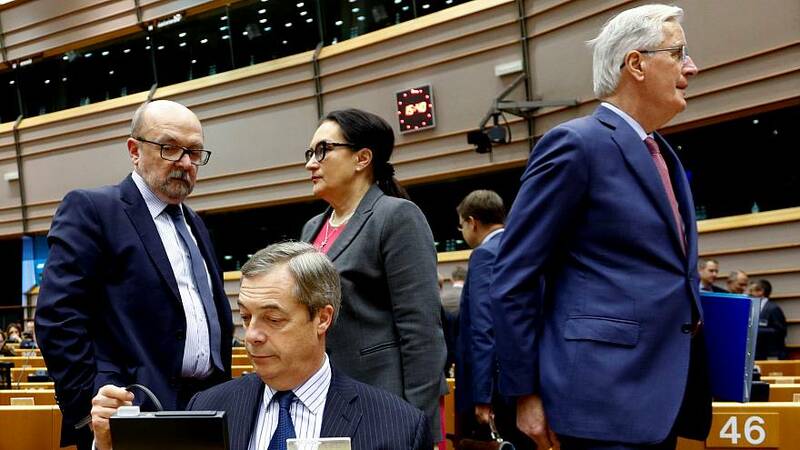 He was picking up an argument that has been used previously by supporters of Brexit, referring to Article XXIV of the WTO's General Agreement on Tariffs and Trade. That article governs free trade deals, essentially providing a loophole for countries who wish to lower trade barriers bilaterally, without adhering to the WTO principle that all members should have access to the same trading terms. It also provides for countries which do not have free-trade agreement in place, to implement interim measures for up to 10 years. Yes, under WTO rules this is possible, the UK and EU could both tell the WTO that they wanted to keep the same arrangements as before, or notify the WTO of changes to their relationship and the new terms they want to trade under. Is there any other major issue with using this provision to alleviate the trade and border challenges associated with a No Deal Brexit? Yes. Both sides need to agree, also known as having a deal. The EU has always refused to negotiate future trade arrangments until it has reached agreement with the UK over issues such as citizens rights, budget payments and the Northern Irish border. Under the agreement Theresa May reached with Brussels last year, and rejected by the UK parliament, it was envisioned that there would be a two-year transition period under which the current trading relationships would be continued while the sides negotiated a new regime.